Crazy as it may seem, our family is loving the giant microbes! 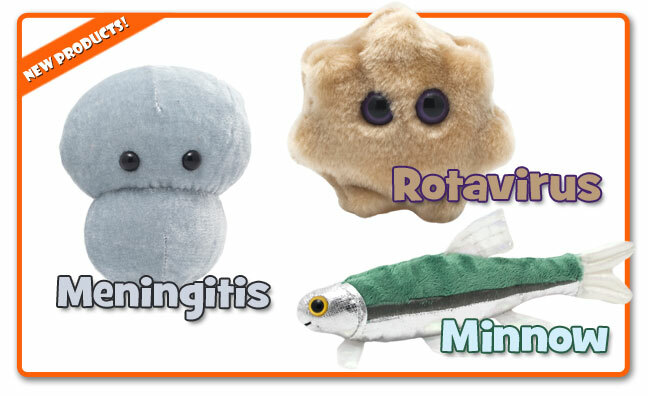 Plush toys representing cells, germs, bacteria and more microscopic creatures. Giant Microbes has released a couple more to add to their collection! Much cuter that the actual microbe that gets into the membranes of ones spine and brain, left untreated can lead to death. Meningitis is a serious condition requiring a spinal tap to detect. Not the kind of microbe you want in real life for sure! Formed to look similar to the microscopic entity, you can choose from Anthrax, Bone Cell, Cholera, Ear Ache, Hay Fever, Kissing Disease and so much more!! Visit them online to see their complete collection. I am already deciding which of these guys are going to grace our Christmas stockings this year.. Weird I know! 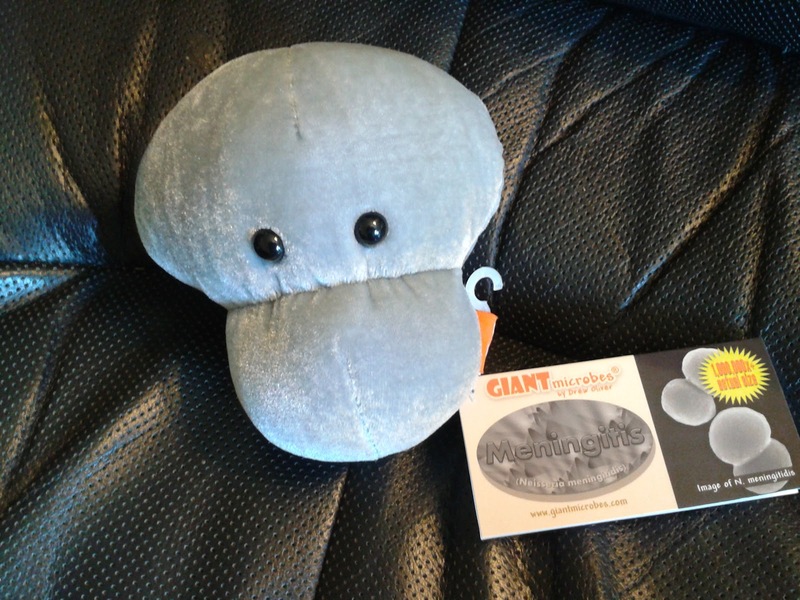 Enter to win your choice of the latest from Giant Microbe! Ends Aug 12 at midnight! Love the Chickenpox! I have never heard of these, thanks for sharing. Haha these are so great! I'd love to win one! Common Cold.. or bed bug! I'm definitely going with Mad Cow!!! My favorite is the Bone Cell. The Sea Sparkle is my favorite. OMGosh! I love the Sea Sparkle! And the Penicillin would be great to give to my son -- he's allergic to it. And my cousin has had mono for 3 years now and is totally stumping the doctors, so the cute Kissing Disease microbe would make a great gift for her! I like the rotavirus one. I loved the mad cow one, specially the fact that they gave it coloring like a cow! I love the brain cell! So hard to choose just one as a favorite, but I think today I'll go with the classic Common Cold microbe. We used to use it as a ball with my son when he was a toddler, and he'd say, "Cold! Brrr!" So, it definitely has a spot in my heart. I'd like to win Rotavirus!